Arts organizations contribute more to their local economies than you might realize. Within rural communities, the cultural hub of arts centers and arts industries create an innovative business climate attracting more persons to live, work, and play in the area! Nationally, the arts contributed a whopping $763.6 billion to the U.S. Economy, and an impressive $13.6 billion to Michigan’s economy! (View Report). What does this mean for Northern Michigan? Rural communities, who host a variety of arts institutions, are equal in innovation and economic success to their urban counterparts (View Report). This means that the arts play a vital role in our local economies! Locally in Emmet County, Great Lakes Center for the Arts, opening this summer, is a wonderful addition to the community providing job opportunities and creative ingenuity to our communities. Rural counties that host performing arts organizations offer larger access to scenic and recreational activities. As individuals partake in the beauty of a concert or show, they’ll more than likely want to enjoy the natural and historical beauty surrounding them. In this way, visitors and locals alike will spend more time taking advantage of community activities whether that is museums, historical sites, parks, or trails! Arts organizations promote civic leadership. These organizations thrive on the partnership and collaboration of other community members, businesses, and organizations which creates a spirit of volunteerism and community involvement. Citizens take it upon themselves to see an organization’s success—creating a deeper sense of place. More jobs are created and retained. 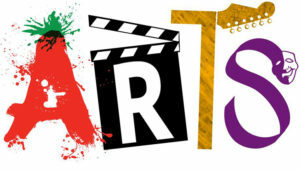 According to NEA, the arts in Michigan employ 128,619 persons. More employment opportunities equal more persons choosing to make Northern Michigan their home. Rural arts organizations attract non-local audiences at higher rates than urban arts organizations. 31 percent of rural audiences travel “beyond reasonable distance” to attend, while urban organizations report only 19 percent. Likewise, rural organizations host four percent more international audiences than do urban organizations.